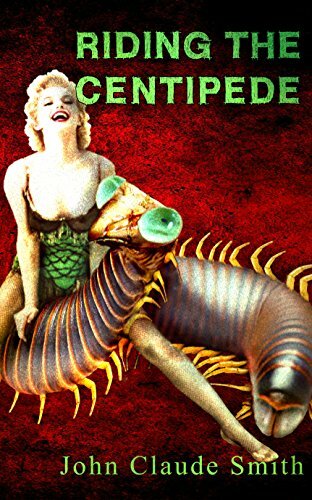 Riding the Centipede by John Claude Smith is an impressive, hallucinatory and dynamically written novel that entertains, and provokes depth of thought with visceral prose and poetic hum. More than an ode to the Beat generation, this mythical, psychedelic drug trip mirrors the complexity of unorthodox language, uncommon perspective and nonconforming communicative style made famous by Henry Miller, Jack Kerouac, and Charles Bukowski, yet stands on its own with the very heavyweights it pays homage to. Private Investigator Terrance Blake spends most of his days shadowed by an event from his past, while dismantling the lives of those driven by the masochistic need to confirm the lies they deny are cold, hard truths, until Hollywood socialite Jane Teagarden calls him for only the third time in years with news on the whereabouts of her runaway brother, Marlon. Marlon Teagarden has been a ghost for ten years, traveling through the underbelly of society as a means of blotting out a past allegedly rife with child abuse, until he is chosen to Ride the Centipede, leading to the ultimate experience, courtesy of literary translator of languages and drug-infused visions from inner and outer space, William S. Burroughs. Just your average road trip chase through the dark frontier of addiction and alternative realities gone sideways. Allow me to introduce you to Rudolf.